Why Rental Air Conditioners Sound Like a Great Profit? 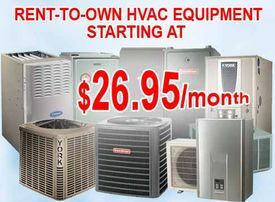 The whole idea of owning a HVAC unit in Toronto is a great feeling in itself. However, the cost and time of air conditioner installation is an unnerving experience for first-time users. For tenants, the ordeal multiplies many times over! This is why rental furnace for sale and HVAC units in Toronto come across as a great option for families looking for high-end heating and cooling solutions within affordable budget. Here are 6 advantages of renting air conditioners in Toronto from reliable HVAC contractors. HVAC contractors in Toronto offer great deals on high efficiency gas furnace, tank less water heaters and air conditioners all-round the year. With families looking for high-tech air conditioner installation just at the onset of summer, there is a huge scope for best discounts in Toronto. Buying a new air conditioner in Toronto can cost an additional overdraft of $100 to $400 in installation and after-sales services. 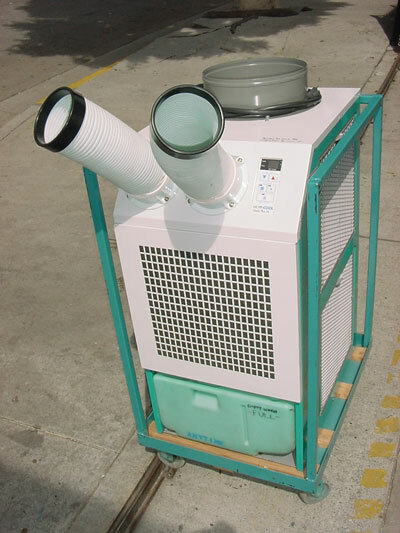 If you grab a rental furnace package with air conditioner installation in Toronto, you need not pay anything upfront. In fact, there is no labor charge added to the rental package either. For families and business owners vouching for more than one furnace and tank less water heaters in Toronto, there is big scope for bargained price on rental package. If you can refer the services to more families and friends, you can easily call off 10% from the rental price. You can use the air conditioners on rental like you own it. Laced with the latest technology and sophisticated thermoset capabilities, the whole idea of using it as a rented unit vanishes with the very first minute of its operation. Perfect for tenants living in older buildings, the regular maintenance and repair cost are all covered under the rent. You can even get a full replacement on the air conditioner in case it breaks down at the middle of the night! There is no membership fee to avail the benefits of the rental facility offered by HVAC contractors in Toronto. The service includes free maintenance and replacement, free upgrade to the most latest HVAC unit and also free boiler installation in case you wish to add the appliance anywhere else in your house. Get a comprehensive evaluation done absolutely free of cost from certified HVAC professionals. The rental service agencies work in collaboration with the leading professionals from the HVAC industry to bring best-in industry services to the customers. The paper work is a very important task as it allows the customer to use the rental furnace and air conditioner in Toronto without any hassles.